click photo to enlarge This is another one of those things we have been meaning to do for a few years and we finally go to it. The Fillmore and Western Railway goes from the town of Fillmore to Santa Paula. 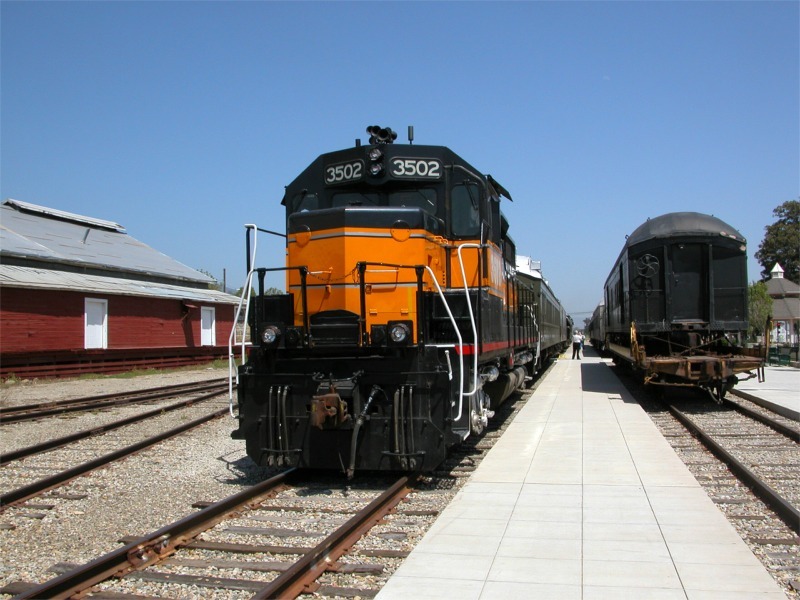 We have been past the town of Fillmore a few times on the main highway but this time we got off to go to the train depot and were pleasantly surprised by what a small, quaint pretty town it is. The town square was very nice. 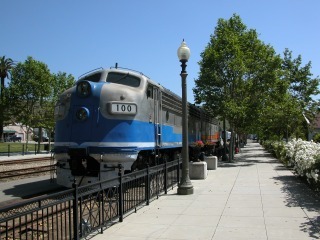 click photo to enlarge The train ride is one hour to Santa Paula, a one hour stop there, then a one hour ride back. There are open cars like this and close cars. 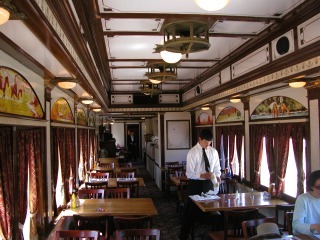 We rode in the open car on the way out and in the dining car on the way back. click photo to enlarge The scenery takes you through the citrus groves of the area. 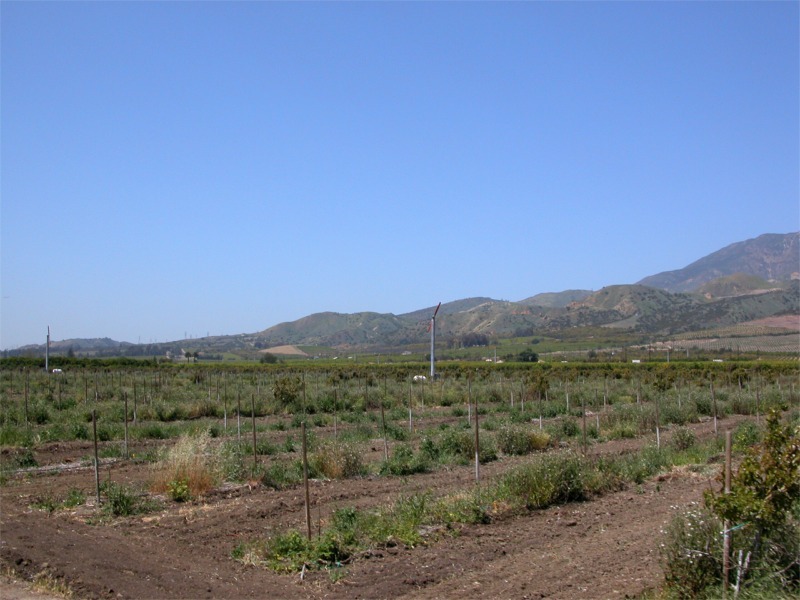 Although many of the citrus groves have been converted to avocado. They can make more money from them I guess. click photo to enlarge This is the restored dining car we rode in on the way back. They have entertainment on the train along with great scenery. Santa Paula makes a very nice stopping point. 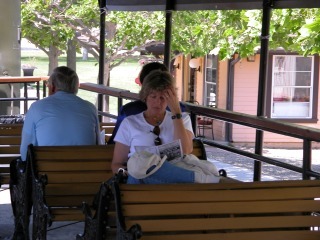 There are some interesting sites to see and the oil museum in Santa Paula. Although, an hour isn't enough time for the museum. click photo to enlarge They have many different kinds of train rides. The have dinner rides, murder mystery, lunch excursions, North Pole express, New Years Eve and more. They also have used the line to film many movies. It made for a very pleasant day.